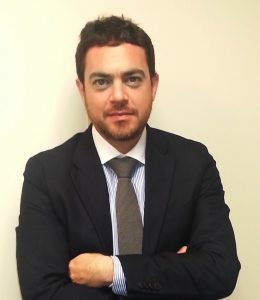 Francesco Clementucci, an Italian Lawyer, started his career at the European Court of Human Rights, and then as Officer at the US Embassy in Italy. Additionally, he has been a research assistant in justice and home affairs at the Center for European Policy Studies (CEPS) in Brussels and a long-term election observer in Venezuela in 2005 for the EU Commission. Currently, Mr.Clementucci advises for international organizations (including the World Bank Group, the Council of Europe, the United Nation Development Program, the Organization for the Prohibition of Chemical Weapons) and national agencies (namely the Italian anti-corruption authority), on various aspects of legal development. In particular, he has collaborated with the Financial Market Integrity Unit, the Integrity Vice Presidency and the Governance Global Practice of the World Bank, with the Stolen Asset Recovery Initiative (StAR) of the World Bank and the United Nations Office on Drugs and Crime (UNODC) and with the Global Indicators and Analysis Department (GIA) of the International Finance Corporation (IFC). After an exchange year at the Turku law school in Finland, and a Law degree at La Sapienza University of Rome, Francesco obtained an M.A. in European Advanced Interdisciplinary Studies at the College of Europe in Natolin. He is a qualified (non-member) lawyer at the bar association of Rome, and an accredited ISO 37001 expert with ACCREDIA, Italy. Mr.Clementucci has authored a variety of studies on asset disclosure, legislative corruption, ethics, integrity in the licensing sector, judiciary system, whistleblowing mechanism and criminal liability in business. His work aims at increasing knowledge and strengthening capacity of business actors as well as public officials, in order to reach sound, effective and sustainable integrity and good governance. Mr.Clementucci is passionate about reducing the gap between the law and its implementation and understanding, by building practices that promote transparency, ethics and accountability in fighting corruption, particularly in fragile situations. He has first-hand experience in implementing projects both in the private and the public sector, in different regions and Countries like Bulgaria, Haiti, Jordan, Liberia, Macedonia, Moldova, Montenegro, Morocco, Russia and Sierra Leone. His mother tongue is Italian and he is fully proficient in English, French and Spanish.